Yesterday I was talking to Caitlin (a fellow Grad Student at UWM) when two Undergrads approached us, and asked if they could ask us a question, and that question was “What gift would you give to the next generation?” I tried to answer something along the lines of “A better world” but I wasn’t very articulate. I thought about it a bit more, and here’s my answer. I want to give the next generation a better world. A world with more understanding, and more knowledge. Not just information, but real knowledge. Useful data that can be used to make informed decisions. A world with less problems. Solutions to existing problems so that the future generation doesn’t have to worry about them. That’s it. 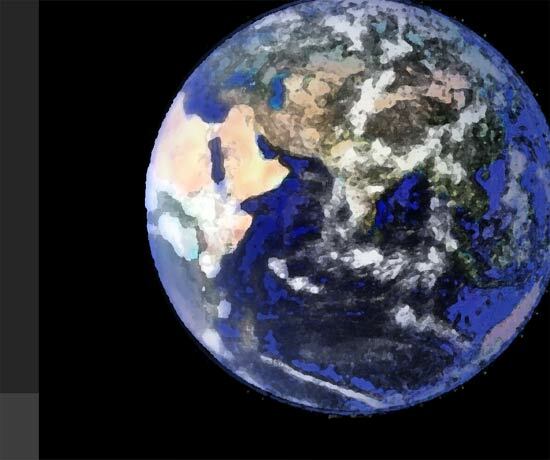 It should be that simple: Leave this world a little better than you found it. 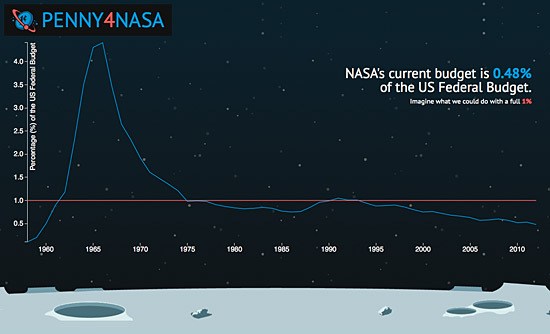 Dammit, we need to get NASA a penny! And by that I mean, we need to increase NASA’s budget to 1% (up from 0.5%) and if you’re wondering why, check out WTF NASA!? for some of the things NASA has done to improve our lives over the years. Check out penny4nasa.org, for more info, and watch the sweet video below. If you are then so inclined, throw some cash at it. 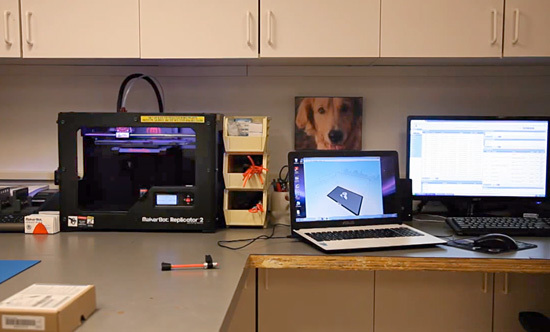 This is the future… a 3D Printer where you work; improving things, repairing things, and creating new possibilities. It’s here today for some people. 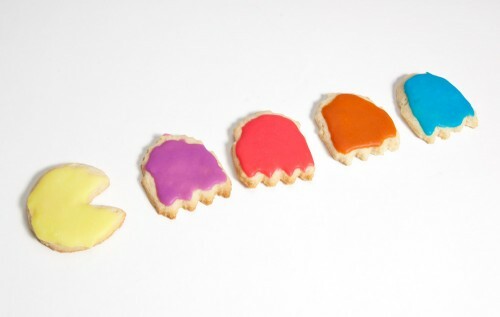 You may have seen that I recently printed some Pac-Man cookie cutters using the MakerBot at Milwaukee Makerspace. This seems like a harmless enough activity, right? I wanted some cookie cutters that my daughter could use to make cookies, so I made them. Typically when I make things, I don’t think to myself “Gosh, what laws am I breaking?” because typically I think of making as a creative endeavor that isn’t harmful to anyone. My cookie cutters are not “officially licensed” in any way. I certainly didn’t plan on selling them, as they were just for my own use. (That said, I have mentioned printing a few extras to give to people, free of charge, but would that cause issues as well?) Is the fact that I printed my own versus buying “officially licensed” cookie cutters the wrong thing to do? Did the company that licenses the official cutters lose a sale, or multiple sales if I give some away? In my defense, I’ll say that I would not have bought Pac-Man cookie cutters. Partly because I’m not that fanatic, partly because I can’t see paying $15.99 for less than a dollar worth of plastic, and partly because I’m a maker. I mean, I could have bent up some metal to make them, or used some other creative methods. So why do we need YOUR help? Simply put, manufacturing is expensive. We want to use a process called ‘injection molding’ to create the Glif at a level of quality we deem acceptable, but unfortunately this requires a hefty set up cost. By pledging at least twenty dollars, you will be essentially pre-ordering a Glif, and helping turn our little project into a reality. See that bit that says “manufacturing is expensive“? Well, it is! But guess what? Making things can be cheap. I don’t want to discount the amount of work that went into designing the Glif. I love design. Design is important. Designers should be rewarded for their work. So the Glif guys wanted to raise $10,000 to bring their product to market, and they ended up raising $137,417. Wowzers! But if you really want an iPhone holder like The Glif, you can always make your own, out of whatever materials you have handy, like wood, or maybe… plastic! Hey, check this out, it’s the iPhone 4 Combo Tripod and Stand. See the comments on that page about “cloning” as well. Interesting stuff. Maybe things should go the way the music industry went. Pirating music was a much larger problem years ago, until Apple (and then Amazon, and others) made it easier (and cheaper?) to get the real thing legitimately. What if the guys behind the Glif had a business model where you could buy their product in the traditional ways (in a store, order online) but you could also download the files needed to print one, for say, a nominal fee between $0.99 and $5.00? Would people support this model? I think some people definitely would. And who is the winner here? The company still makes money, and the consumer saves money. Somewhere in there we also hope that less energy (money) is expended in using this method. Sure, there would still be clones and copies, but you’d assume (like we do for music, movies, etc.) that most people are honest, and want to support the work of others. So is this idea crazy, or is it the future? In our first piece, The Future of Open Source, I talked a bit about hardware, and touched on community, as well as mentioned a few specific companies. This time I’ll talk about specific pieces of hardware. Let’s start with the Arduino. The Arduino is probably the most successful piece of open hardware. There’s an estimate of 300,000 Arduinos “in the wild” as it were, and if that does not count “official” Arduinos, I can see that number easily being double. While it’s nice that Arduino is open source, and commercial use is allowed if you make a clone, it’s not the biggest reason, which is why it’s down near the end of the list. However, that isn’t to say it doesn’t matter at all. Specialized derivatives can be made without paying someone or asking anyone. It’s open source hardware so a company or school can use it without any per-seat licensing. There’s no risk that it will be discontinued and the software gone forever. If you want a new feature, you can spend the time and get it added. When thousands of people have a small stake in something, or ownership, they care more. Does anyone even debate if open source software is a good idea any more? I think part of the reason the Arduino (and its clones) have flourished is due to the community built around it. Thanks goes out to the people who are really into doing things with Arduinos, and sharing their work with others, and helping out on the forums, and teaching classes, and basically connecting with others and evangelizing the Arduino platform. The first Arduino I purchased was the “official” Arduino Uno, which I acquired from Adafruit Industries. I remember finding out about Adafruit from the web site ladyada.net, run by Limor Fried (Lady Ada) who runs Adafruit. The fact that she had shared so many project details online led me to her business, and I became a customer. My Uno is what I consider my “top of the line” Arduino, and I feel pretty confident that it will work with any shield I get, not have any weird quirks to work around, and that buying it supported the Arduino project. Chances are when a new “official” version of the Arduino comes out, I’ll but that one as well. I do have other Arduinos, like the Boarduino, also purchased from Adafruit. I wanted another Arduino, at a lower cost, that I could dedicate to a project. It fit the bill, and supporting Adafruit was something I felt good about doing. I’ve also got a Diavolino, from the folks at Evil Mad Scientist Laboratories. As I mentioned in my blog post, The Diavolino comes in at about $13—less than half the cost of an Uno—though there are some compromises with the Diavolino. If these compromises don’t affect you, it’s a nice little Arduino board. And as for the folks at Evil Mad Scientist Laboratories, they’re pretty awesome, just like Adafruit, and I feel good supporting them. Now we move away from the US and over to China. I’ve got two “Seeeduinos” from Seeed Studio. 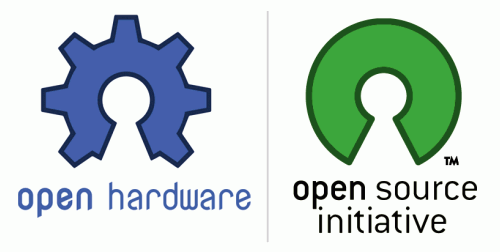 I know some people would prefer not to buy from China, and if these were cheap knock-off products from a questionable company, I’d agree, but Seeed Studio seems to be a pretty well respected member of the open hardware community. They were a sponsor of Maker Faire, they helped with the radiation detection project after Japan’s Fukushima incident, and they actually develop a number of innovative products. If all they did was make a cheaper Arduino, I probably wouldn’t be as supportive of their efforts. As it is, I think they provide some friendly competition for others in the Arduino space, and do plenty of other things to be a good citizen of the open hardware community. The point of all this is, the Evil Mad Scientist guys aren’t out to crush anyone who tries to make an Egg-Bot… they encourage it. They’ve grown a community of users who help each other out, sharing what they’ve learned along the way. This helps make people fans of Evil Mad Scientist Laboratories, and the Egg-Bot, and be more willing to support their future endeavors. But hardware, just like software, and life itself, is often a compromise, consisting of grey areas, like the Teensy. While I used a Teensy for The Button, and it was perfect for it, I still hope to move to an open source alternative if possible. I covered most of this in my Teensy vs. Atmega32u4 Breakout Board+ post. I’ll get my hands on an Atmega32u4 Breakout Board+ and see how it stacks up against the Teensy for future projects.